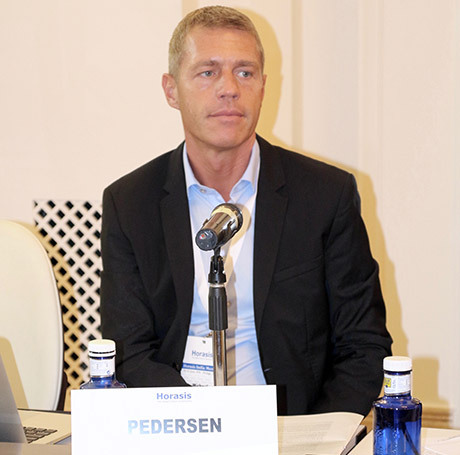 Michael Pedersen spoke at the 2018 Horasis India Meeting in Malaga, Spain on 25 June 2018. The two-day meeting brought together approx. 300 leaders from business, government and civil society in India and other countries around the world for discussions on pressing Indian societal challenges and evolving good practices and solutions. In the context of the session titled “The Social Imperative”, Michael shared perspectives on the great potential of sport in supporting India’s further development. He specifically emphasized that sport could become a very important and powerful tool for preparing and enabling the unprecedentedly large proportion of children and young adults in India in becoming successful next generation societal leaders, not least on the basis of acquired life skills through sport such as self-awareness, self-confidence, self-discipline, teamwork, respect and fair play. Along the same lines, he also emphasized that widespread engagement in regular sport would substantially support children and young adults’ ability to acquire new knowledge and to stay healthy during a looming obesity epidemic phase of further societal development in India. Appreciating that this remarkable potential of sport is not widely known and acknowledged by parents in India, Michael Pedersen ended his intervention by highlighting the value of cultural change, i.e. specific work to support the process of changing general perceptions in India that education is important and sport is not towards a widespread appreciation of how and how much sport could actually support education. Horasis is a global visions community, committed to inspiring the future. 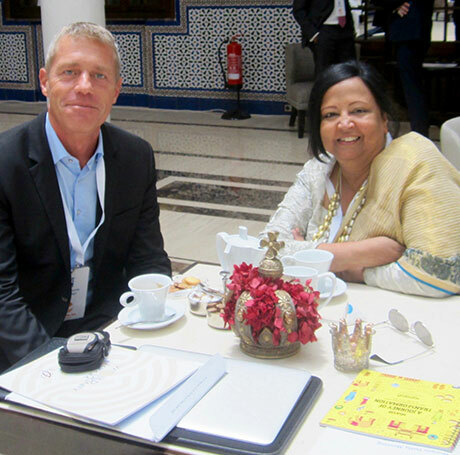 Launched in 2009, the annual Horasis India Meeting offers an interdisciplinary and systemic view of India and its place in the political and commercial world in general and a platform for reviewing drivers across all sectors that contribute to its present and future well-being in particular.